A nation mourns after the second deadliest school shooting in U.S. history at Sandy Hook Elementary, which left 20 children and six staff members dead. 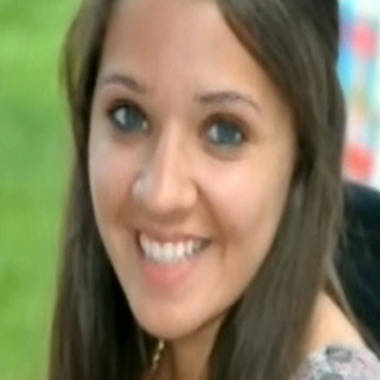 Victoria Soto, 27, first-grade teacher at Sandy Hook elementary. Soto had taught for five years and was known by students as silly and loving. 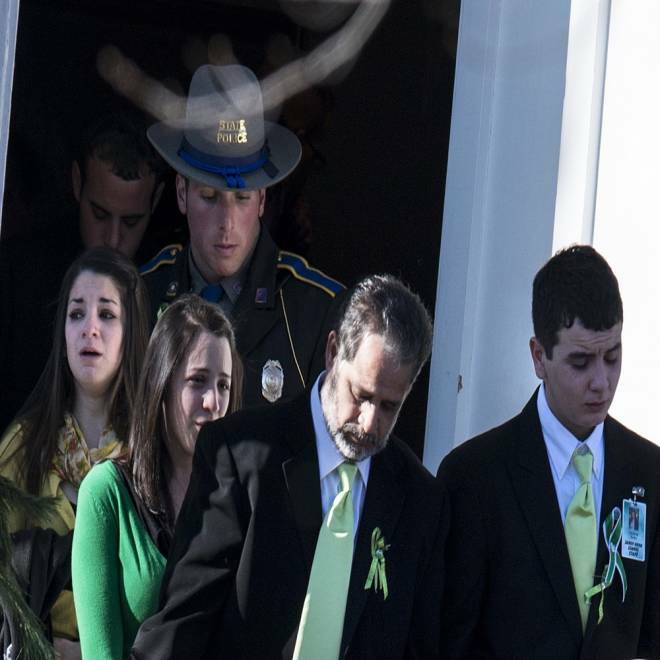 Mourners who arrived at a church in Stratford, Conn., for Victoria Soto’s funeral were handed ribbons of green, her favorite color. They spoke of the 27-year-old’s selfless final act: She died trying to protect her first-grade students at Sandy Hook Elementary School from rifle fire during the massacre, according to her family. “Truthfully, you have been a hero to me for a lot longer than five days,” said her sister, Jillian Soto, according to the Stamford Advocate. "You've been my big sister. The one I always looked up to." Another sister, Carlee, sobbed as she spoke. "The pain is unbelievable," she said. Outside, family friend Ryan Ortiz, 27, said he couldn’t help thinking if he would have been as courageous as Soto. “Mind-boggling what she had to go through,” Ortiz said. “No matter how many times I sit at home and think of what I would have done, you just can't imagine being in that situation. “In my opinion, she was that light amidst the darkness that was going on that day in that school,” Ortiz said. “There's really no other way to remember her than being that light in that room." Simon was asked by the Soto family to perform at the service; his sister-in-law, a nurse, is close to Soto’s mother, also a nurse. He came and left without comment. Soto, who was in her fifth year of teaching, was finishing up her daily morning meeting with the students of Classroom 10 when gunman Adam Lanza began his rampage Friday morning. Relatives say they were told she hurried the kids she called her "angels" into a closet behind her and tried to shield them from the bullets. Some of the children in her class managed to survive the slaughter. Many did not. Funerals were held Wednesday for first-graders Charlotte Bacon, Caroline Previdi and Daniel Barden, and a wake was held for 7-year-old Chase Kowalski – continuing a week of mourning. A large contingent of firefighters arrived for 7-year-old Daniel’s funeral at St. Rome of Lima church in Newtown, where the strains of bagpipes filled the air. Two of his relatives are members of the New York City Fire Department, and he dreamed of wearing a uniform when he grew up, according to a Facebook post from a firefighters’ foundation. "It was one of the hardest funerals I was ever at,” FDNY Lt. Eric Torres told NBCNewYork.com. Family friend Laura Stamberg, of New Paltz, N.Y., said that on the day of the shooting, Daniel’s father Mark spent precious moments with him, teaching him a Christmas song on the piano. "They played foosball and then he taught him the song and then he walked him to the bus and that was their last morning together," Stamberg told the Associated Press. At a funeral where mourners wore buttons with her picture, 6-year-old redhead Charlotte was recalled as a ball of energy who loved the color pink and wanted to be a veterinarian. Caroline was “just a doll,” was just a doll," family friend Pam Fehrs said. "She was happy – dancing and happy everywhere she went." Later on Wednesday, hundreds attended a wake in Woodbury, Conn., for Sandy Hook Principal Dawn Hochsprung, 47, who also has been hailed as a hero for running toward the sound of gunfire after Lanza blasted his way into the school. Connecticut Gov. Dannel Malloy and Lt. Gov. Nancy Wyman came to pay their respects at Munson Lovetere Funeral Home, where candles in paper bags, arranged to spell HOPE, were laid out on the front lawn. “If it was not for the quick and courageous response of other teachers and staff, even more children and adults might have died,” he said. Some of the services have been marked not just by tears, but by calls for tougher gun laws. Miguel Padilla, who works with Soto’s father, said he hoped the unity shown in the wake of the tragedy would translate into legislative action. “With assault rifles, there is no need for those,” he said outside the church. “If you need to protect yourself, a handgun is good enough. That a 20-year old can get his hands on [an assault rifle] is pathetic. NBC News' Courtney Hazlett contributed to this report. As funerals are held for four more Sandy Hook Elementary victims, President Obama will announce that Vice President Biden will spearhead a panel to formulate gun policies in the aftermath of the Newtown tragedy. NBC's Craig Melvin reports.